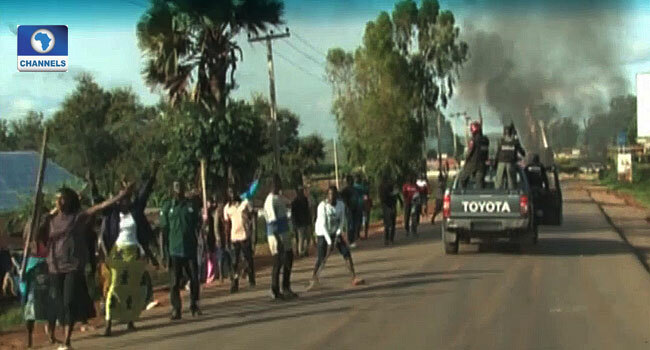 The death toll in the deadly attack on villages in Plateau State has risen to 100, the police said on Tuesday. Commissioner of Police, Plateau State Command, Mr Undie Adie, gave the official figure during a telephone interview on Channels Television’s Sunrise Daily. “We moved in and discovered that in one, eight persons died. In the other, one person. There was also an attempt by some youths in Jos South who came out and blocked the road,” he said. Adie’s comments come three days after suspected herdsmen attacked Xlands, Gindin Akwati, Ruku, Nhgar, Kura Falls and Kakuruk in Gashish district, Barkin Ladi Local Government Area of Plateau State. He, however, revealed that the command had no premonition that such assault would take place. “Immediately we got wind of this, we got in and started moving in from the community to community. And at the end of it, we confirmed 86 people dead,” he said on Tuesday. “And at the end of it, we confirmed 86 people dead and that was the number that we reported first. Later in the neighbouring local government of Riyom, it was discovered that two other remote villages had been attacked. Reacting to calls in some quarters for Nigerians to defend themselves in wake of several attacks, the CP believe such a move does not augur well in a civilized society.